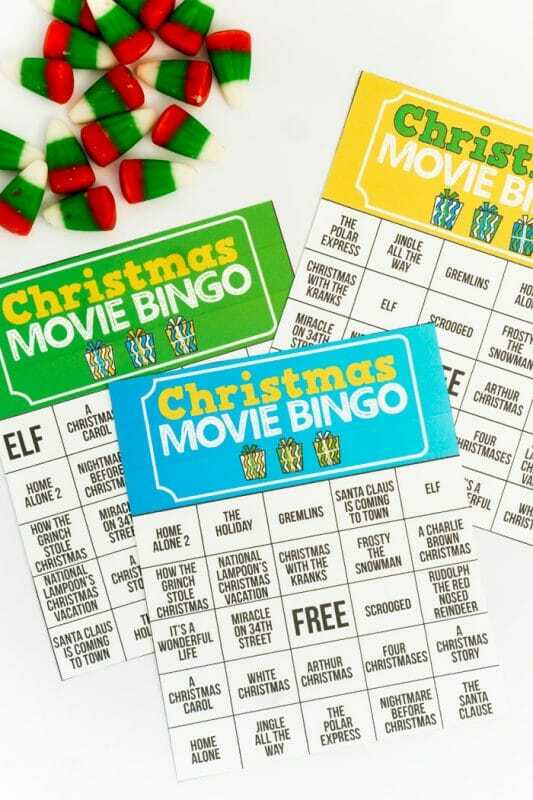 Start a new tradition this Christmas with these Christmas movie Christmas bingo cards! 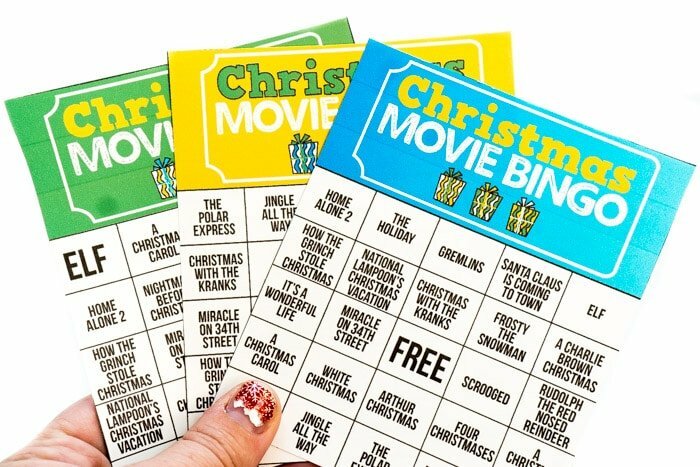 It’s a typical Christmas bingo game with a little movie inspired twist! Simply print the cards, buy some bingo prizes, and enjoy a cozy new Christmas tradition. One of my favorite family traditions is playing bingo Christmas Eve. The tradition started before I was even born in my Dad’s family, and it’s been going on for as long as I can remember anytime we’re with my family for Christmas Eve. It’s not Christmas Eve without a game of bingo, a pair of new Christmas pajamas, family gathered all around with their bingo cards, and a fire in the fireplace. Most of the time when we play bingo on Christmas Eve, we play with a regular bingo game and regular bingo cards. 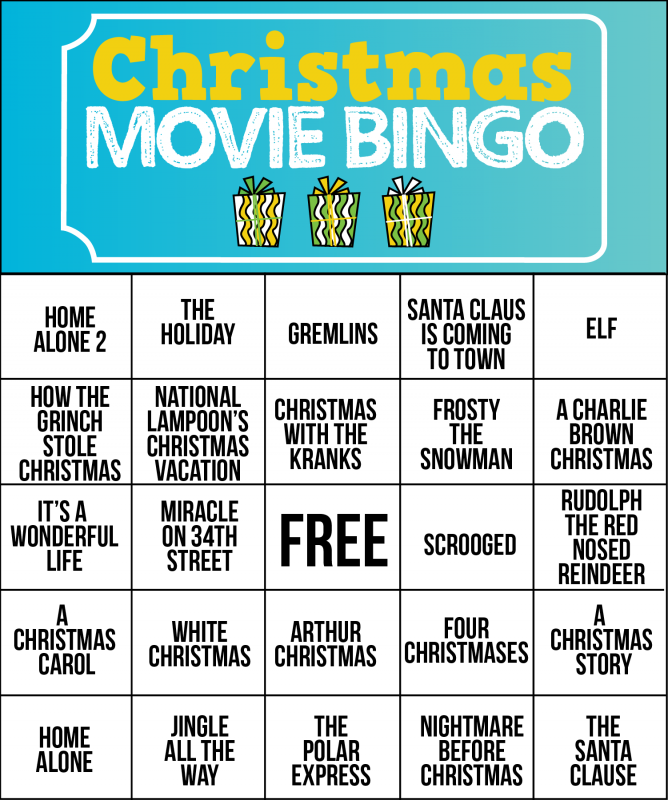 I thought it’d be fun this year to mix things up with custom Christmas movie bingo cards that make it a bit more challenging and more fun! Along with the new bingo cards, we’re going to play bingo at our new home for the very first time! 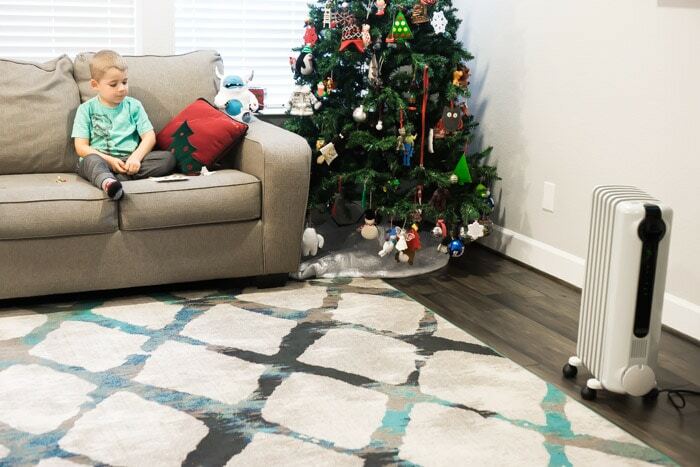 That means no cozy fireplace and mantle in the background, instead I’m replacing the warm fireplace with a De’Longhi Capsule Compact Ceramic Heater to achieve that same warm and cozy effect without the danger of my preschooler putting his hands on the hot fireplace. 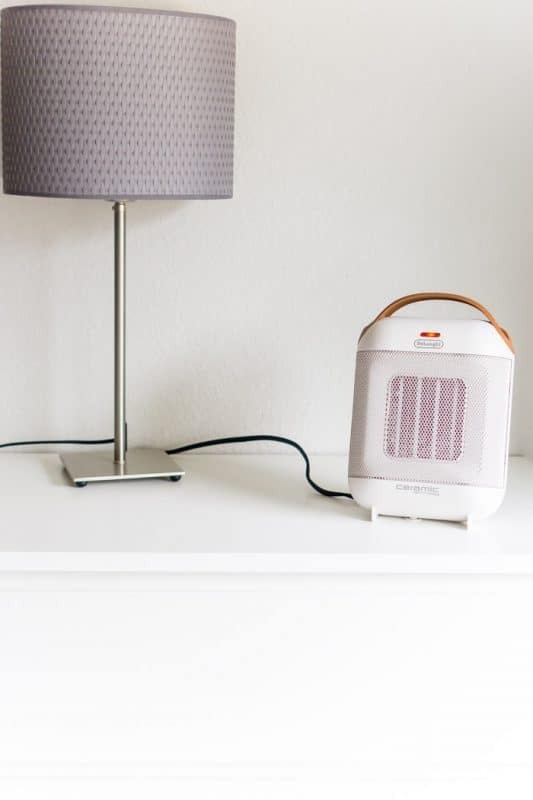 I love that the little capsule heater is lightweight, portable, and warms up in just seconds, so I don’t have to remember to turn it on before everyone gets here! I also love that it has great built-in safety features like a SafeHeat function that shuts the heater off if the heater is accidentally knocked over. Because you know things get knocked over in my house! And it’s seriously just so cute, you’d never even know it was a heater! And once Christmas Eve is over, it’ll make a great addition to my bedroom to keep me warm with these crazy Texas winters! 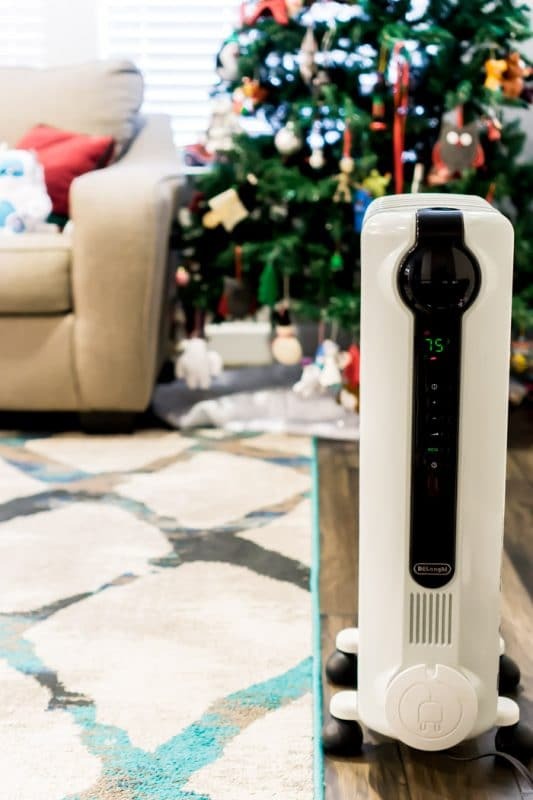 If we have some surprise guests (always seems to happen with my family) and need to play in a bigger space, we’ll move upstairs to a larger room and use a De’Longhi Radia S ECO TRRS 0715E Radiant Heater instead! 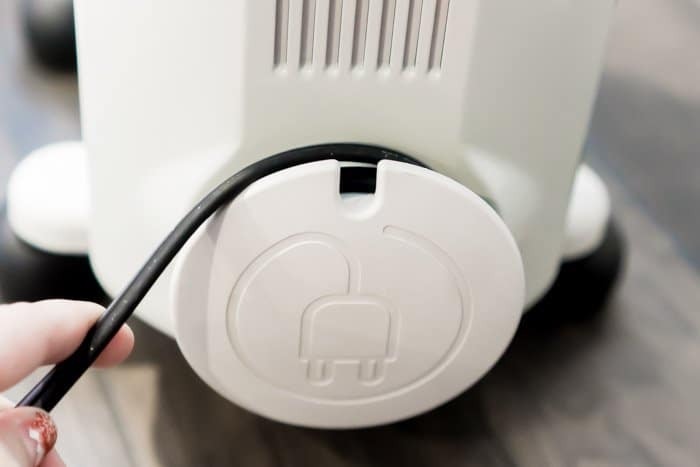 It’s built for bigger spaces and made to heat up a space until it reaches your desired temperature, all while saving up to 20-40% in energy! And it has smart snap wheels that are preassembled and ready to go, making it easy to move to any spot in your house, wherever works best for a nice competitive bingo game! You can also set a timer so it runs for a set amount of time and then turns off when you want it to. That’s great for someone like me who likes the house warmer during the day and cooler at night to sleep. 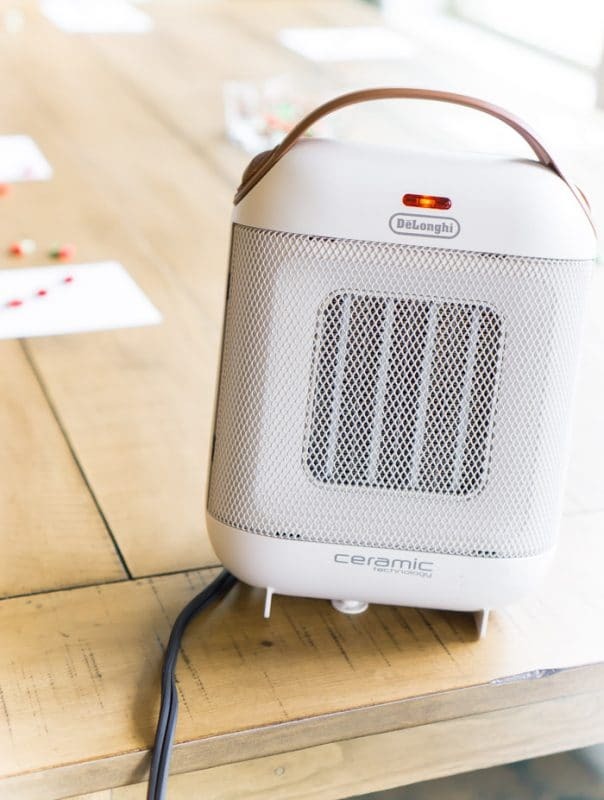 It’s definitely more of a workhorse heater than the capsule I talked about before but both would be great for a cozy family bingo night on Christmas Eve! 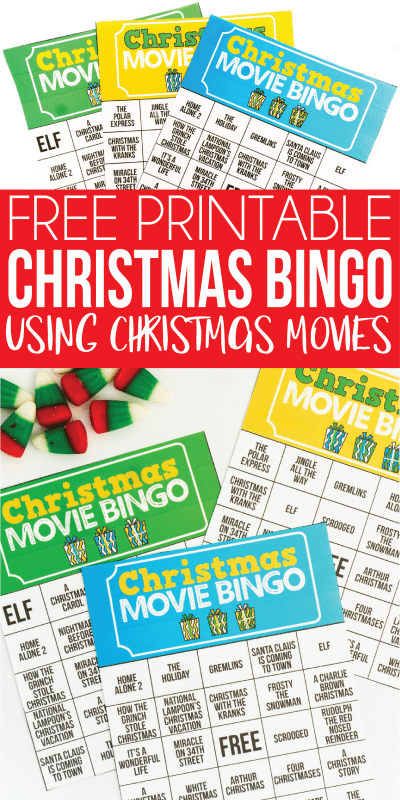 I created 32 free printable bingo cards that have the name of some of the most popular Christmas movies on them. But this isn’t just your standard bingo game. Instead of just calling out the names of the movies, I made three different sets of words to call out – quotes, actors, and movie names. You can either use a combination of all three of the items, use just one, or even switch it up across games. I also added in parenthesis what movie it is from so you can figure out if someone is right when they bingo. Don’t read the part in parenthesis out loud, that’s just for the caller. The basic idea is that you pull one of the movie quotes out of the bowl and anyone who can figure out the movie it’s from and has that movie on their bingo card can mark it off. Same with the actors – if they know what movie that actor was in, they can put a marker over that space if they have the movie on their card. If an actor happens to be in two movies, they can choose one of the two spaces to mark off BUT they cannot change that space later. I’d say in terms of challenging, the actors are probably the most challenging to figure out, then the movie quotes, and finally the movie names are just like a regular bingo game with movie names instead of numbers. Here’s a sample. Don’t forget to pin these Christmas bingo cards for later. LOVING IT! We have family game nights frequently (the whole family) and are always looking for new ideas! I keep coming back here. Very cool idea! Can’t wait to try this with my family. Thank you Britni, you have a wonderful imagination! What precious ideas, thank you so much! Merry Christmas to you! Sounds like fun. I would lie to have the printable Bingo game. I’ve been looking for some games for my Red Hat ladies to play at our Christmas party. We’ve already had our party this year but we start planning right after the holidays are over. Looking forward to playing bingo with my family Christmas day. I love to play bingo, Hopefully my family will love it too. Thank u so much for these game ideas. We had a Christmas reunion on the 16 with family and friends, The bobbin for candy canes was a hit. My family loved the game. So thanks again for the game ideas. Thanks! We played at work today and everyone had a great time. I don’t have bingo cards Helen, but I have all of these games that might work. they don’t “take from each other anymore”. We have children and adults. Playing bingo means you are the author of your own game. We let everyone who wants to be the caller. When its their turn to be the caller they can make the game up however they want. They can have 3 winners or 6 winners. You can win multiple times or only just once. You can play normal bingo, double bingo, cross, plus, postage stamp, or fill all corners. We also play the biggest loser. Which means the last player who hasn’t achieved getting a bingo wins a prize as the biggest loser. If your worried about everyone getting a bingo at least once, remember you are the author of the game. Make the rule that round that you play until everyone wins once. Playing Christmas bingo is about everyone being together and spending time as a family. Hope this helps. Have so much fun making memories with your family. Hello! I love this idea and your printouts! Thank you so much! I am hosting the employee Christmas party this year, but have around 45 employees and they will be bringing a guest. Any suggestions on how I can make it work with the 35 cards in the download? Or are their any I can edit to change the locations of the names to make more boards? Thanks so much! Hello! The 3rd, 4th and 5th pages only print as blanks. I’ve tried different printers, different settings, etc. Any ideas how to get those to print? Thanks! Great ideas to celebrate Christmas. I have a group of 45 ppl, (i’m sure not all will play) but will these 32 cards be OK to give to more then 1 person? since there could be more then one answer for some of the “words” pulled? What an AWESOME idea. I’m going to use this multiple times over this and next week. Thank you! Thank you , looks fun!